Nocciolina is coming back...We're changing the packaging, but the taste remains the same. Nutritius & Delicious! 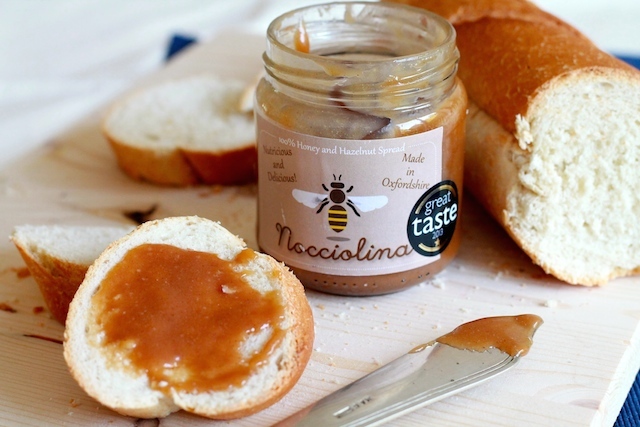 Nocciolina is a creamy spread made with simple ingredients: honey and IGP Hazelnuts from Piedmont. 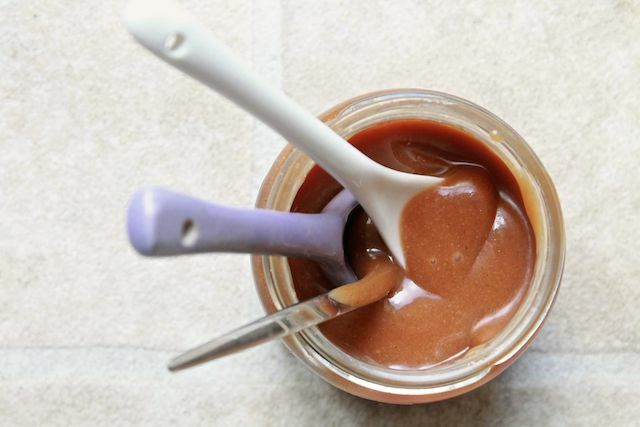 With its warm color and its hazelnut delicious flavour, Nocciolina is the perfect and healthy spread for a slice of warm bread, pancake, icecream, fruit or….straight from the teaspoon! Mariella’s favourite way to enjoy is: half a teaspoon dipped in espresso! Our customer’s suggestion: add a tablespoon of Nocciolina, slightly warmed, over a cup of vanilla ice cream! 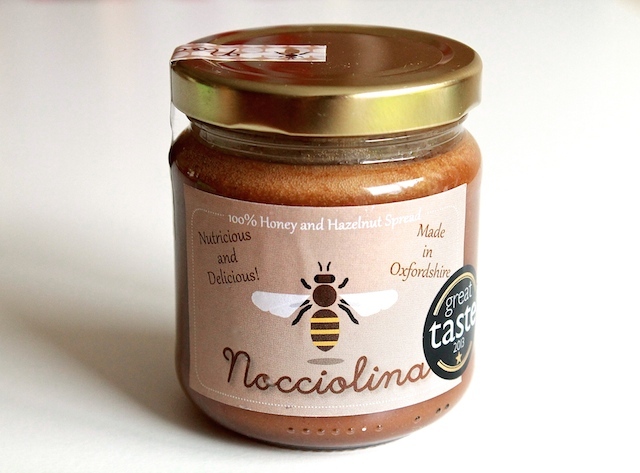 Nocciolina in 2013 received the Great Taste Award: the acknowledged benchmark for speciality food and drink. 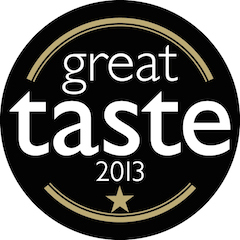 Great Taste logo is the sign you can trust when buying Nocciolina. Where you can find it? Nocciolina is available at our stall at Farmers’ Markets in East Oxford, Deddinton and Wolvercote. Come and visit us so you can taste it.